Content marketing is an important part of any good digital marketing plan. However, developing your content marketing strategy can be a daunting task, whether it’s coming up with topics, or figuring out how to get exposure for your content. Looking at your competitors’ content marketing can be very helpful in getting you started on your own content marketing strategy. Learning how a company creates content, what channels it uses to deliver that content, and to whom they’re marketing, can give you valuable insight on how to create and use your own content. Watching customer reaction to a company’s content marketing will also provide useful information, such as the likes and dislikes of the customers. Before you can analyze the content of your competitors, you have to find it. Look through the website. Content is most often located in particular areas of the website, such as Case Studies, About Us, News, Press Room, Blog, or Resources (or similar names). Take note of any blogs and the purpose of those blogs. If a sitemap is published within the website, that will be helpful for locating content. Social media can also be a clue as to where their content is published, as many businesses share their content on social media. By auditing the content, we mean just noting the type of content, topics that are discussed, and how often content is published. Keep track of how many of each content format are published, how often those formats are published, and whether there are multiple publications of certain topics. This will give you useful insights into which formats are the most popular, along with topics that customers are interested in. At this point, you’re not really analyzing anything, just taking notice. Once you’ve found the content, it’s time to get familiar with it. Look at the style and length of the content. Look at the word count, along with assessing how in-depth the content is. Examine the accuracy of the content, and look for any spelling or grammatical errors. Take notice of the structure, such as paragraph lengths, bullets, and headings. See if you can determine information about their writers. Maybe they outsource writing to multiple creators of content, or maybe they rely on guest bloggers. Analyze their most popular topics, the ones that have been shared more frequently. Look at any comments on their content, and see whether the content created positive or negative reactions. Look at the format of the content. Written text, video content, and images are various formats that may be used when publishing content. Audiences may prefer one format over another, and some topics may also be more suitable for a particular format. Analyze the setup of their blog, if they have one, and pay attention to the purpose of the blog. Is it used for providing updates on products, or to provide additional information that might interest their customers? Take note of whether bylines and/or bios are included with the blog, and how the content is categorized. Some blogs may have preview panes, while others display an entire post. Look for the social media buttons to follow and share content. Check out the URL structure of posts, to see if they’re optimized for SEO. You may want to incorporate some of their ideas for blog structure into your own blog. It’s okay to stalk your competitors on social media. Look at their social media accounts, and see how those compare to your own. Check how often they update social media with new content, and how their followers respond to that. Also, look at how social media is integrated into their website. Ideally, content should be easily shareable, with social media buttons integrated into the posts. However, not all social media platforms are suitable for all businesses, so make sure that your social media accounts can benefit your business. You can learn a lot from the website structure of a business. Look at the URL architecture of the website, page titles, and the use of internal linking within the website. The keyword density of their copy and H1 and H2 tags also provide useful information about how they present their content. If their website content is popular, these things are part of the reasons why. On the other hand, if their content is not popular, see if you can figure out why, and make sure you don’t do those things with your own content. It’s important to optimize a website, its content, and even its social media postings for SEO. This will make your website more accessible for both internet users and search engines. Figure out which marketing channels your competitors are using, or not using. If there’s a particular channel that your competitors are not using, and you think it could be useful, go for it. If you can succeed at that particular channel, you’ll have an instant edge over your competitors who are not using that channel. For example, if your competitors have not been using YouTube, but it’s suitable for your business, you have the opportunity to establish your presence there before the rest, putting you ahead in the competition. Often times, when people think of product strategy of competitors, they think they have to improve upon that strategy. The reality is that sometimes it’s better to compete with another company by emphasizing differences, rather than competing with similarities. By analyzing your competitors’ product strategies, you can come up with ways in which your business is different, and ways in which you bring your own great qualities to the table. Sometimes, you can develop a content strategy by looking not at the competitor, but at the competitor’s customers. Research what common questions and complaints their customers have about the products or services, and create your content with the intent of addressing those questions and complaints. Offering solutions to problems is a great way to get people interested in your content. There are a number of content tools that you can use to collect information about the content strategies of your competitors. BuzzSumo is a tool which shows the content that has been shared the most for any domain that you enter into the search field. Ahrefs is another tool that is similar, but looks for the most popular content from any particular domain. CognitiveSEO allows you to see which content on a blog has earned the most inbound links from other websites, Ahrefs does this too. There are other tools that are specifically designed to compare social media accounts. Fanpage Karma allows you to see a side-by-side comparison of social media accounts (yours and another business) in order to decide what changes should be made. LikeAlyzer can be used to do a quick health check of any Facebook page, to see what’s working and what’s not. Using a tool like SpyFu can show what keywords your competitors are relying on for searches, and perhaps more importantly, what keywords they’re not using. Rather than competing directly with other businesses for the same keywords, zero in on keywords not yet being used, and focus on those. You’ll likely have more success. You can use the information you learn about your competitors to either create content that is better than your competitors’ content, or to create content that is entirely new. The Skyscraper technique is a great way to lure your competitors’ audiences to your own content. This refers to creating better content than your competitors, and then examining their backlinks to reach out to those websites yourself, with the hope of earning links to your own website. Another method, somewhat less forthcoming, to gain some insight into your competitors, is to portray yourself as an influencer or guest blogger, in order to interact directly with your competitors. Some businesses may be willing to openly discuss their strategies for content marketing, while others may not be forthcoming with that kind of information. Yes, you can gain valuable information about your competitors’ content strategy, and use that information to guide your own content marketing strategy. However, remember that it is never acceptable to outright steal your competitors’ methods and content, and doing so will only result in destroying your own business credibility. Take the information you collect and use that to create your own improved version of content. It’s important to incorporate your own style and tone for content. It cannot be emphasized enough how important content marketing can be to the success of any business. 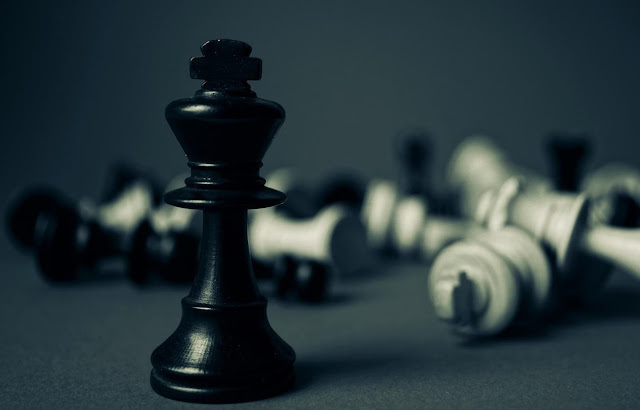 Developing a strategy for content marketing can be a long and difficult process, so taking the time to look at your competitors who are using content marketing can yield some valuable tips to incorporate in your own content marketing strategy. You shouldn’t be looking to copy your competitors, but rather, take what’s working with their content and put a new twist on it to make successful with your own website content. Amir Noghani is the general manager at Green SEO Perth. After getting a master’s degree in engineering, he began his work in marketing and communications field, almost 8 years ago.